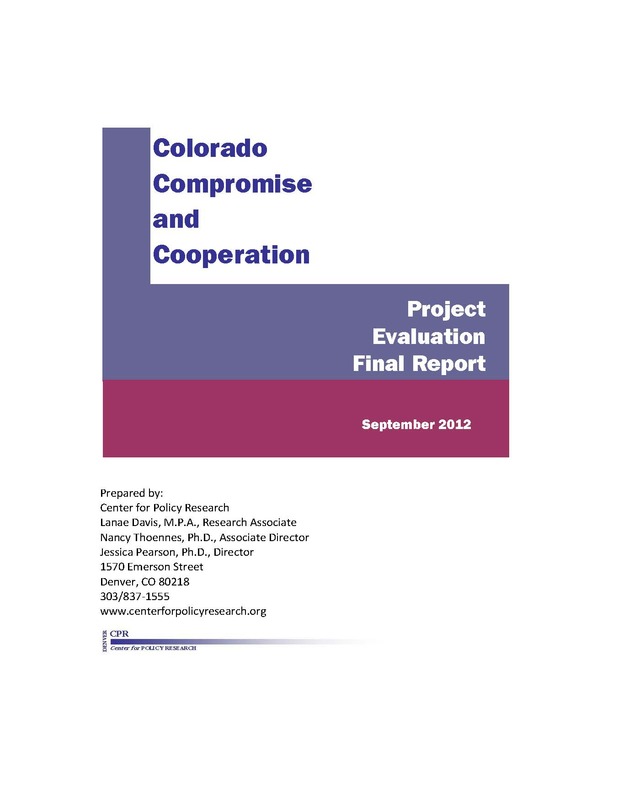 The Colorado Compromise and Cooperation Project, which operated in Denver and Larimer counties, was designed to develop, implement, and test procedures to promote payment of current support and/or arrears among noncustodial parents (NCPs) who owe back-due child support, reduce child support arrears balances, and close cases, where appropriate. Each county targeted NCPs with arrears who had been formerly incarcerated or were disabled. Both of these groups are likely to be low income and to have accrued child support arrears during time periods they had a limited capacity to work, earn income, and meet their child support obligations.